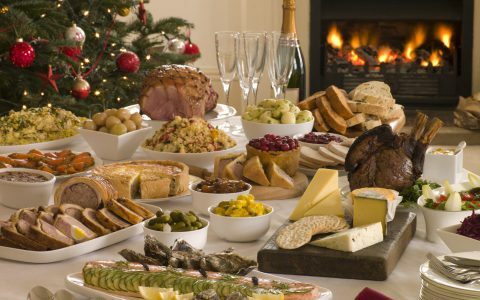 Since becoming a mum to my daughter Erin two years ago, Christmas has taken on a whole new meaning! Now that Erin’s two, I can’t wait to see her face come Christmas morning as she opens her new toys. 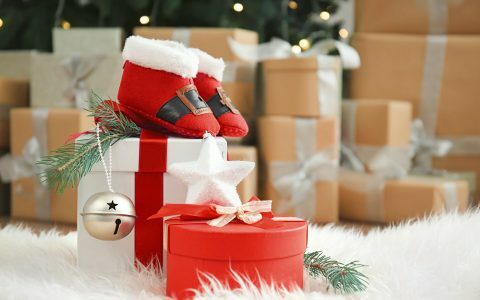 Here are my 7 top gifts for toddlers to both delight and inspire. The BigJigs Baby Triangular Activity Centre is a great gift for toddlers. 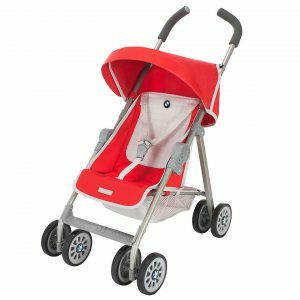 As it’s compact with no detachable parts, it’s easy to travel with to keep little ones entertained wherever they are. 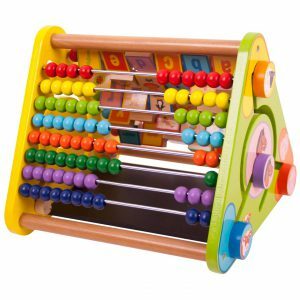 It’s perfect for stimulating your little one as it’s bright and colourful. 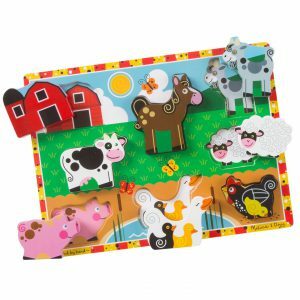 For the stocking filler price of £8.99, the Melissa and Doug Chunky Puzzle is ideal for your child’s first puzzle experience. They’re extra thick and suitable for children over two years. They come in six different options ranging from vehicles to farm animals. All the pieces are brightly coloured and also stand on end to allow for more imaginative play. Erin has the safari animals set and loves to tell me what each animal is. She often uses the pieces in other games she has too. 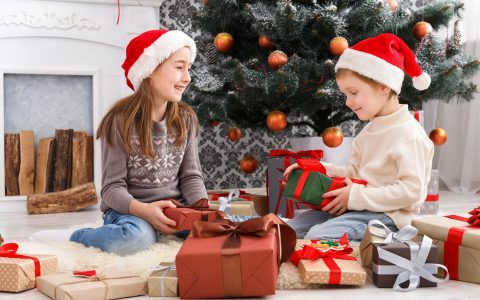 This is a gift that definitely brings back childhood memories of more of a traditional gift. 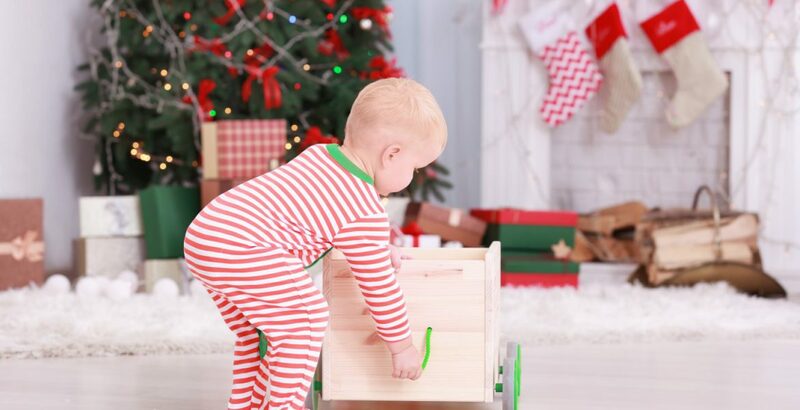 Who wouldn’t adore the Maclaren Junior Buggy for Christmas? It’s so lifelike and it gives the child a feeling of being so grown up as it mirrors the same buggy they’ve been pushed around in! Erin is fast approaching two and dolls are a huge part of her world at the moment, so I know what I’ll be buying this Christmas. You also get a matching changing bag with all colours except the denim. I love the Classic World Animal Block Set! It really gets your child to think outside the box. 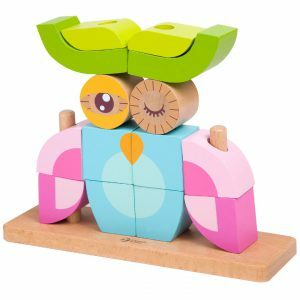 They can create a fox or owl from 14 beautifully illustrated wooden blocks. 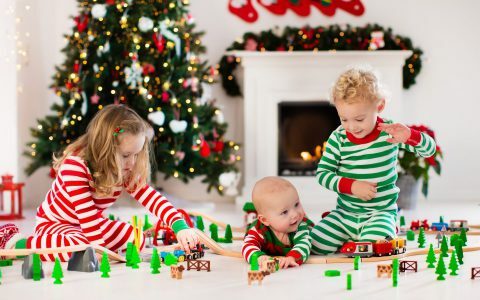 Classic World have the theory of happy playing equals happy learning and they are very keen to keep to a safe environmental production process and use all wood from sustainable forests. A forever gift! 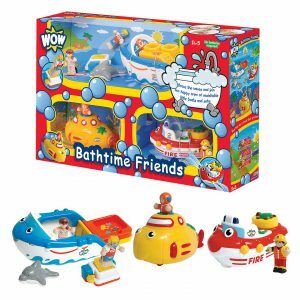 The WOW Toys Bathtime Friends 3 in 1 Set makes a great gift as they’re suitable for children aged between one and five years, so can be used by all the family. There are no batteries and no small parts. You get three vehicles including a speedboat, fire boat and submarine and for added value a spring board, dolphin and four figurines. They all do something different – they either bob, squirt or pour. 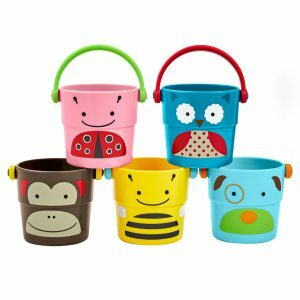 Bath toys are a massive part of a child’s bedtime routine and this means it now can be even more fun! My star buy is the BigJigs Red Bus Sorter. 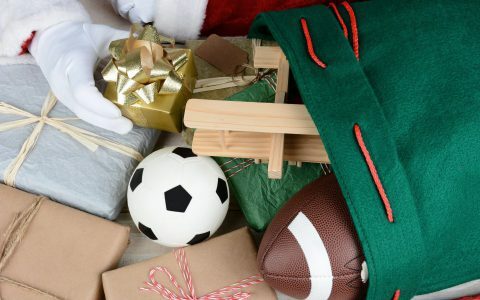 It’s great value for money at under £30, plus it’s a fantastic gift for both boys and girls. The Red Bus Sorter is a beautiful wooden toy with lots of play value. It’s ideal for encouraging problem solving, mobility and promoting creative play. The set includes 17 wooden animals and is suitable for children aged 18+ months. Erin had this from the age of 12 months and still adores playing now she’s two. Ultimately, it’s a great value for money product and a perfect Christmas gift! 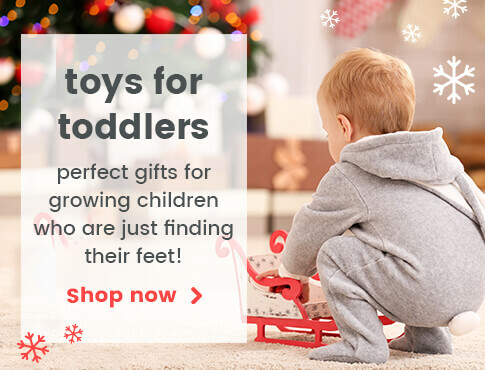 What’s on your shopping list for your toddlers this Christmas?